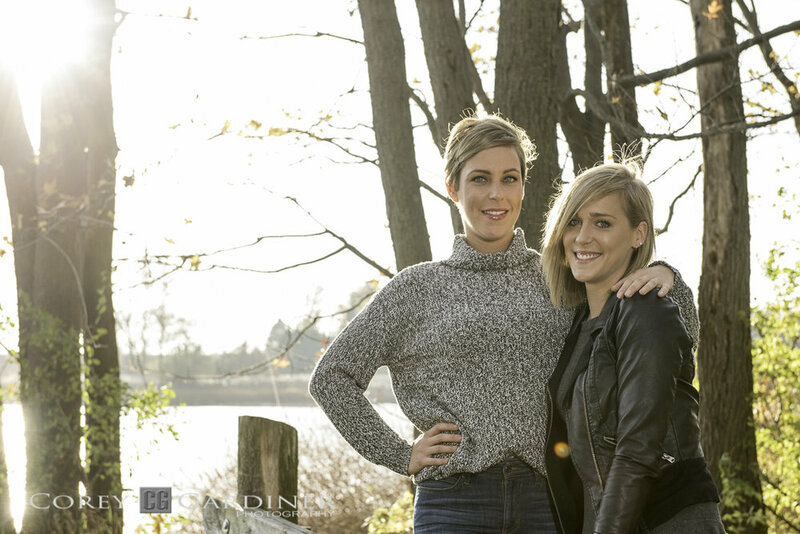 I had the pleasure of photographing these two sisters this fall. We were fortunate enough to have amazing weather for this shoot as the previous weeks were not so kind. This had to be one of the most comical and entertaining portrait shoots I've ever done to date. D&D have an amazing sense of humour and definately know how to keep a smile on everyones face. Since we were constantly laughing and joking around, we were able to capture many pure and honest smiles. Thank you D&D for a very entertaining Photo Shoot at what turned out to be an amazing location as well.